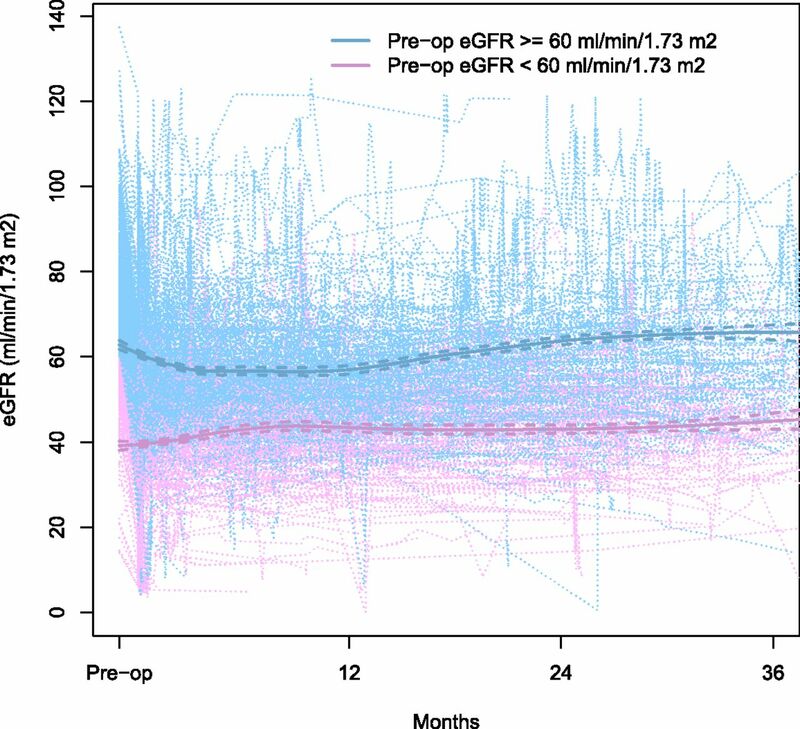 Patients with eGFR≥60 ml/min per 1.73 m2 preoperatively had a decline in eGFR after surgery until around 8 months, whereas patients with eGFR<60 ml/min per 1.73 m2 preoperatively had a general increasing trend in eGFR over time after surgery. Individual patient trajectories of postoperative eGFR (ml/min per 1.73 m2) over time (light purple and blue dotted lines). Purple lines indicate patients with preoperative eGFR<60 ml/min per 1.73 m2, and blue lines indicate patients with preoperative eGFR≥60 ml/min per 1.73 m2. Locally weighted scatterplot smooths by preoperative eGFR are shown with bold solid lines; 95% confidence intervals are shown with bold dashed lines. Cumulative incidence of eGFR recovery was significantly greater among those with preoperative eGFR<60 ml/min per 1.73 m2 as compared to those with eGFR≥60 ml/min per 1.73 m2. 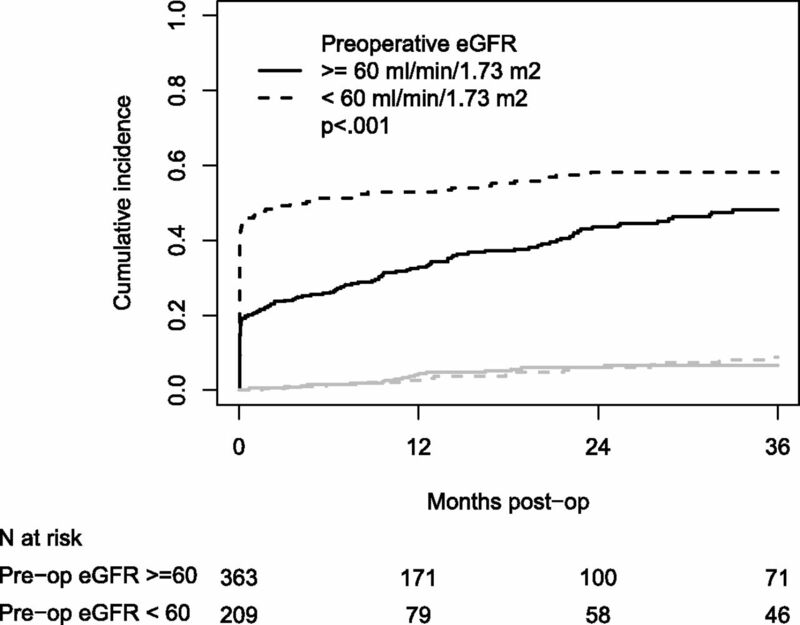 Cumulative incidence of eGFR recovery by preoperative eGFR. Black lines indicate eGFR recovery and gray lines indicate death. HR, hazard ratio; 95% CI, 95% confidence interval. ↵a Tumor size value missing for one patient, so the sample size for multivariable analysis is n=571.